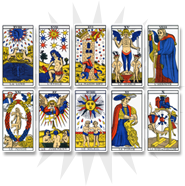 In cartomancy, the Jack of spades is different from the King because of his age. He is a young dark-haired man who is not a good omen. Without any moral principles, the Jack of spades is selfish and does not think about the consequences of his actions. The Jack of spades extends his dark side to everyone. Symbol of individuality and libertinism, he announces a phases of depression and disillusion. Depending on the other cards from the reading, the Jack of spades announces health issues and physical weakness. The Jack of spades indicates that you will be meeting a negative person, someone that will bring frustrations and problems. You will have to be careful about the people you will soon meet, both personally and professionally. 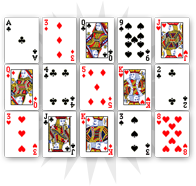 In love, the Jack of spades announces a one-night-stand relation. On the material level, it evokes individualism, avidity and the pursuit of profit. In the next few months, try and stay away from those who follow their selfish ideals. 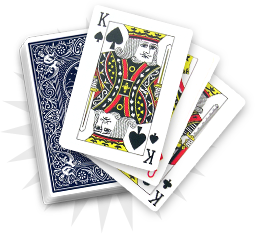 In love, the Jack of spades announces a one-night-stand relation. On the material level, it evokes individualism, avidity and the pursuit of profit. 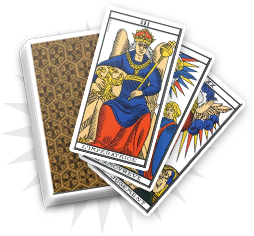 Anyway, you will have to observe the first and the last cards from the reading to understand the impact of negative persons on your life, and better apprehend this situation.